Acclaimed soul singer and The Voice UK finalist, Toni Warne is delighted to bring her one-woman show FEELING GOOD to The Crazy Coqs. In 2012, gospel and soul singer Toni Warne was a finalist on BBC1 The Voice UK, since when she has gone on to gain an international following with over 20 Million Hits on YouTube, not to mention live appearances worldwide. With her distinctive look and vocal mastery, Toni reinvents soul and pop classics such as Feeling Good (Nina Simone), Think (Aretha Franklin), The Power of Love (Jennifer Rush) Midnight Train To Georgia (Gladys Knight) and creates stunning interpretations of Broadway and West End standards. Accompanied by her trio of piano, bass and percussion, Toni infuses each classic song with true heart gained from a lifetime of experience on both sides of the 'pond' and around the world. FEELING GOOD showcases a wealth of performing experience and shares the story of her incredible journey - from television to New York, Los Angeles, luxury cruise liners and even Moscow's Gorky Park. 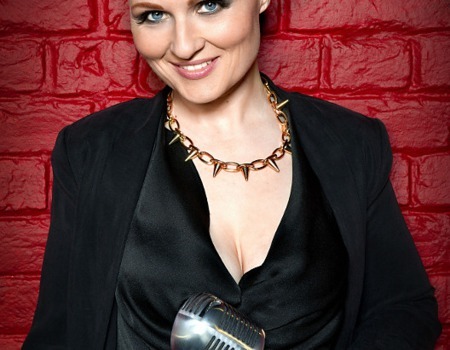 See for yourself the talent that had Sir Tom Jones, Danny O'Donoghue and Jessie J all vying to mentor her on The Voice UK.